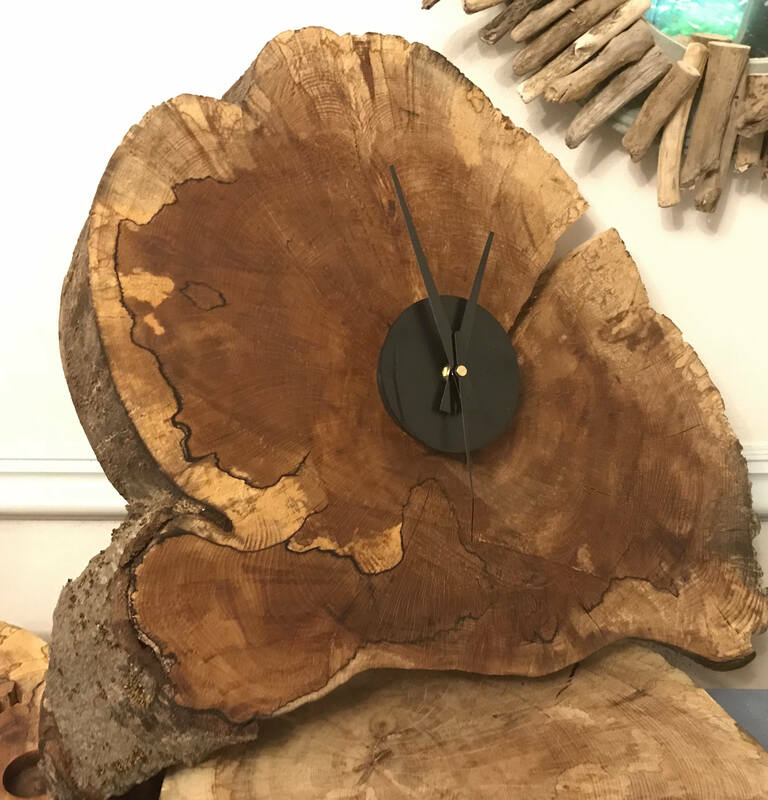 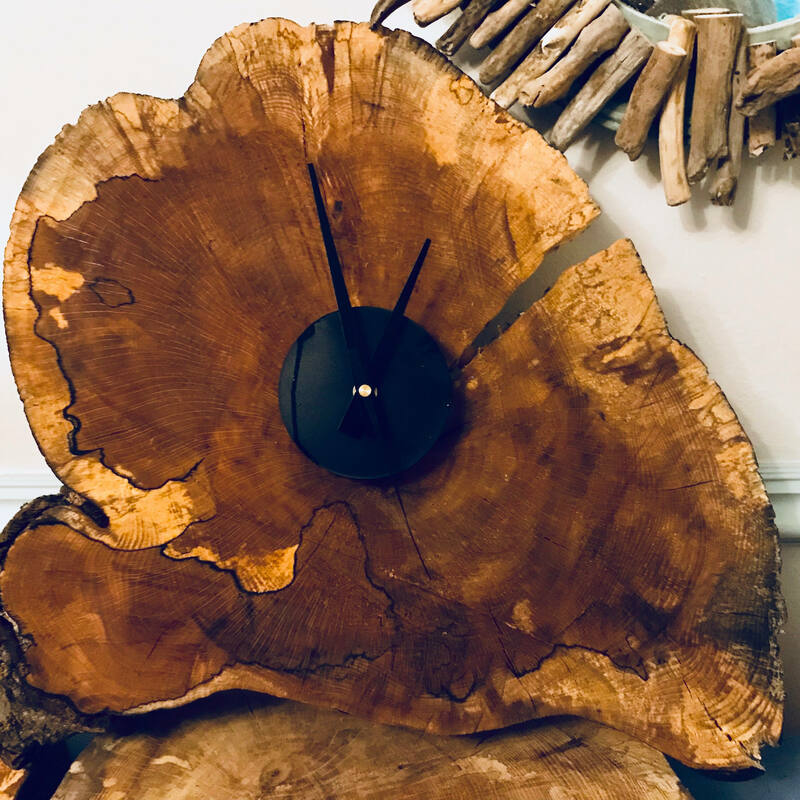 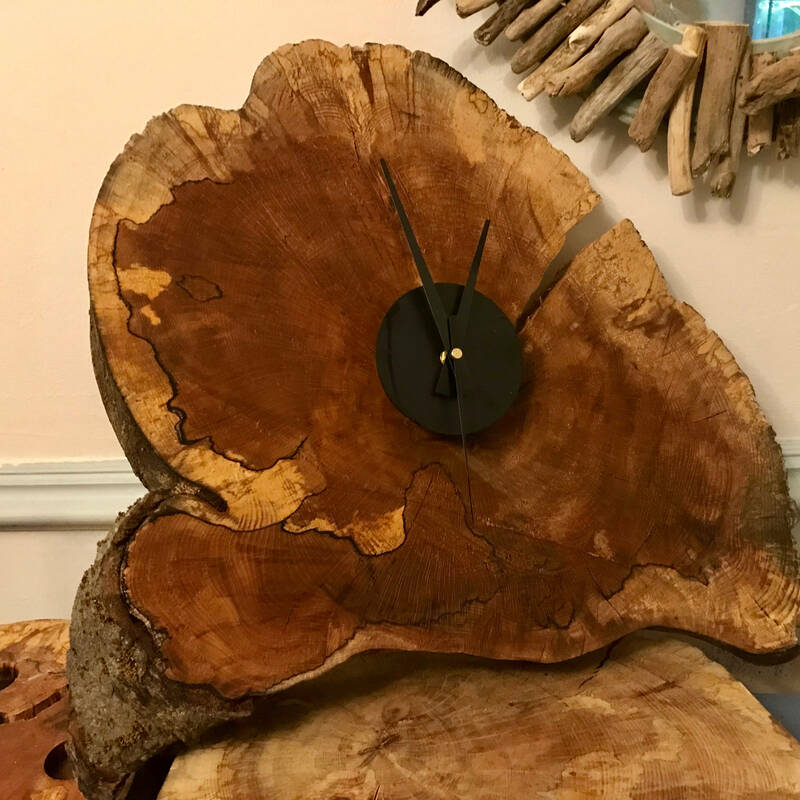 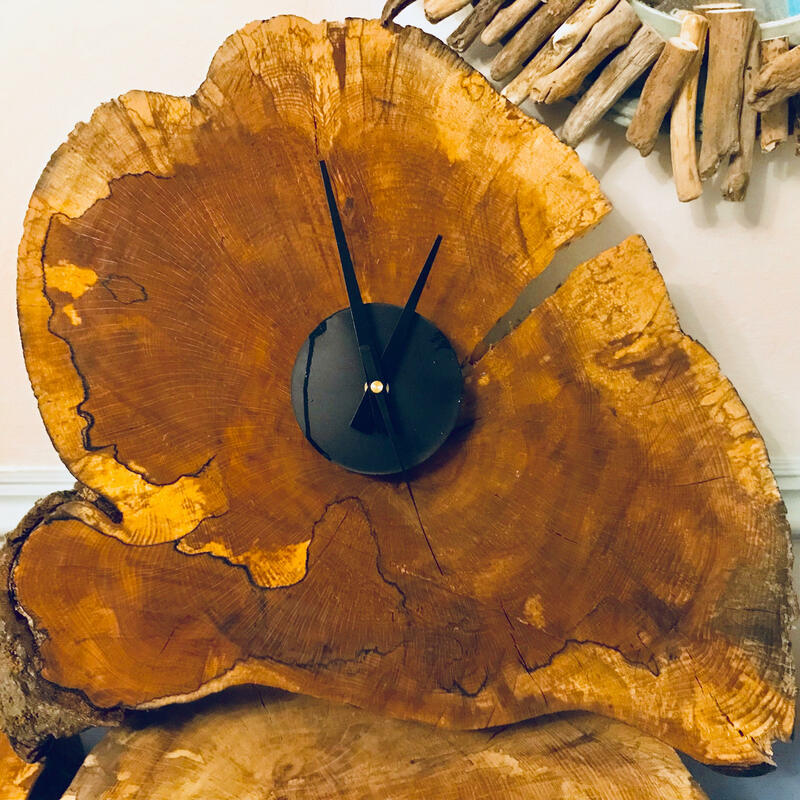 This is a large clock made from reclaimed wood sourced from a forest in central Scotland. 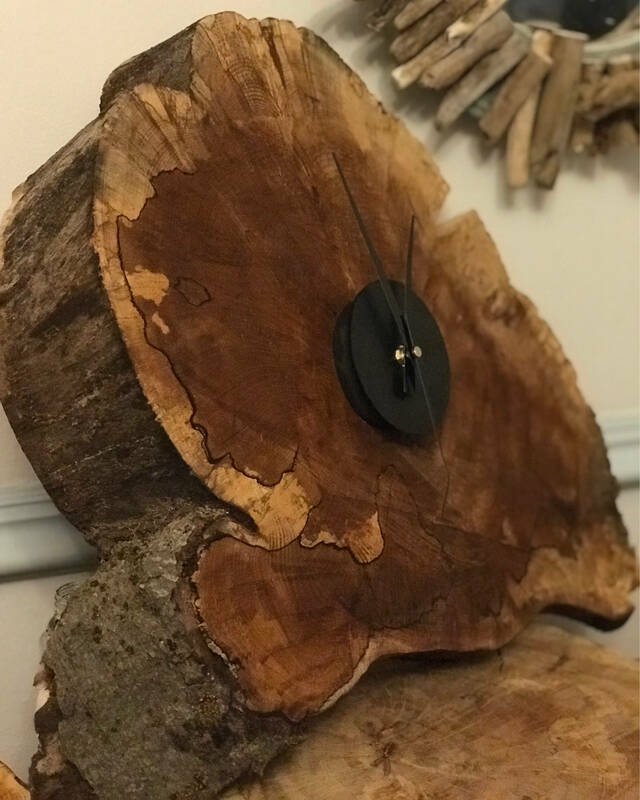 The clock has been treated with linseed oil however retains its original features, showing signs of weathering, such as cracking, and some of its knots are retained. 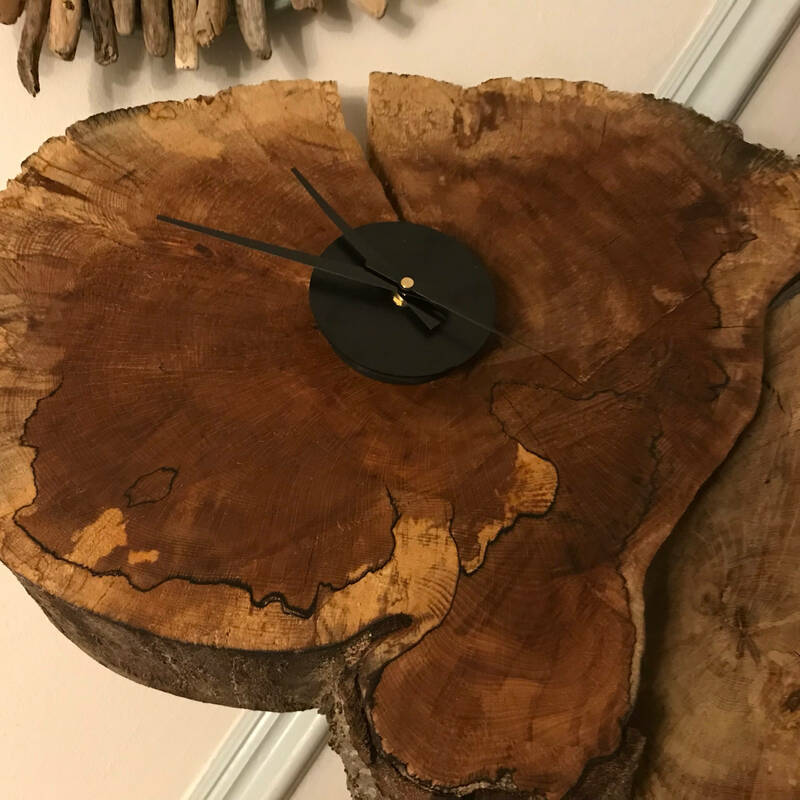 The wood may have some change depending on the temperature of its environment . 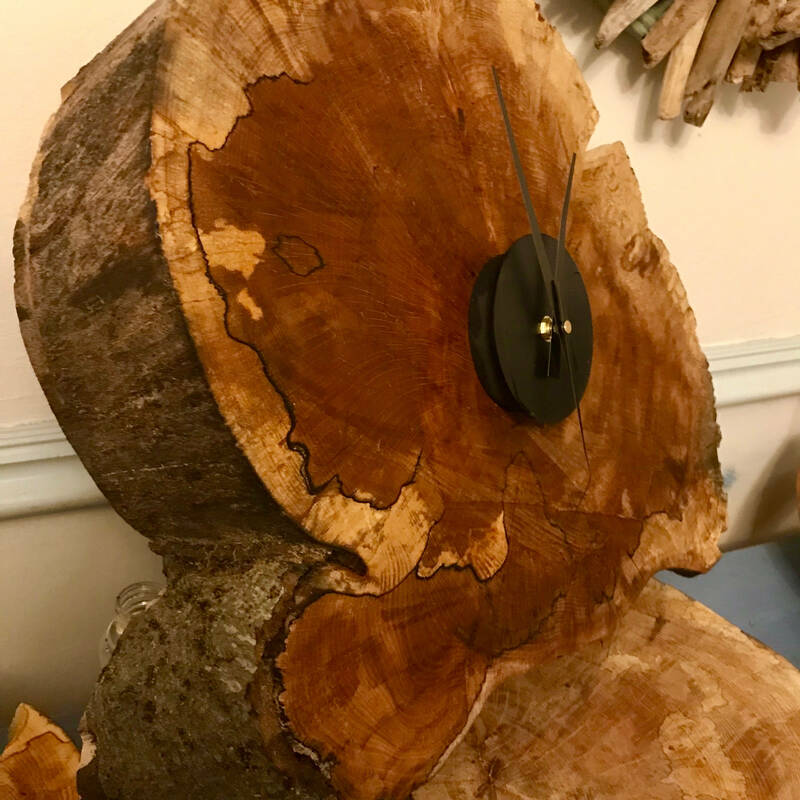 A D ring is added to the back to allow the clock to be wall hung. 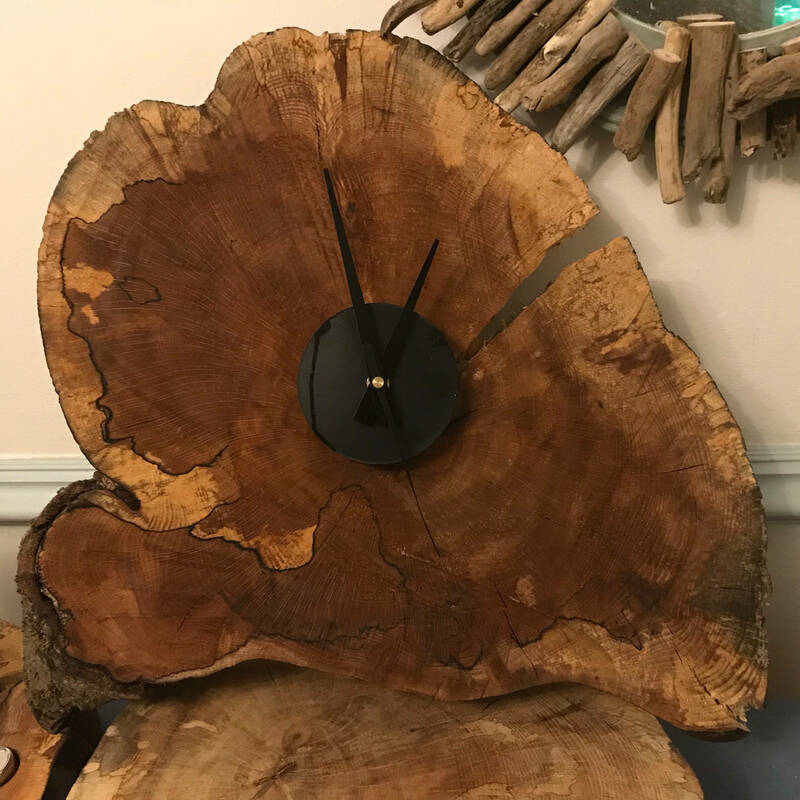 This is a truly one off unique piece of furniture, there will never be a duplicate .